recording, applying various audio effects, filtering, format conversion and more. 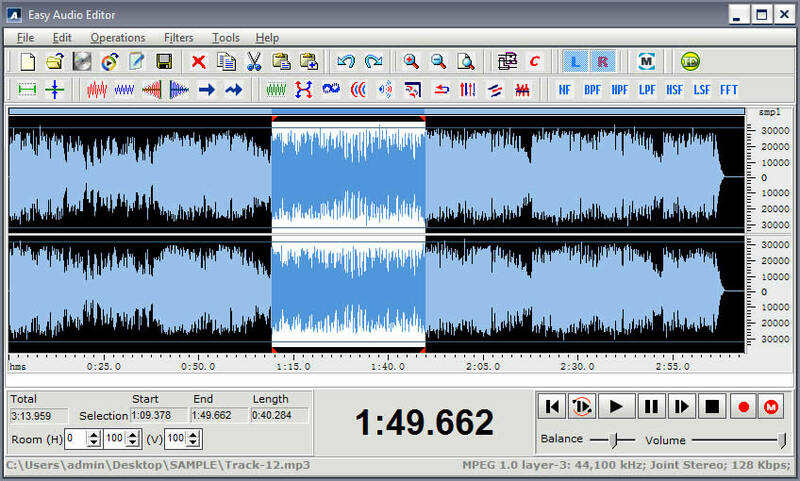 Easy Audio Editor is the most simple yet powerful audio editor software that a beginner can usually get a hang of how things work within a few hours of using it. 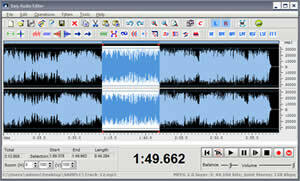 Easy Audio Editor is the express edition of Music Editing Master.